Auto accidents happen every day to hundreds of people around the world. Fortunately, not every car accident happens in injury and serious loss. However, if you’re trying to recover from an accident with little to no auto insurance, you may have a harder time getting back on your feet. Below, are a few ways you can financially recover from an accident with no insurance. If you are unable to file a claim or get a settlement following your auto accident and have a few large bills to pay off, it’s important to create a budget so you can afford to pay them off. First, you should use your emergency funds to see what you can initially pay off, but the leftover money should be reworked into your budget so you can offset the costs. Creating a budget, in general, is important to do so you can cut out useless spending and put more money in your savings account for emergency situations like this in the future. Following a serious car accident, especially if you need to recover from injuries, you should consider taking out payday loans from a place like no credit check cash advance. These kinds of loans are offered by a private lender and give you money before your “payday,” so you have immediate funds. However, if you’re out of work for an extended amount of time due to recovering from injuries, this type of loan can help get you on your feet and help you get on track recovering financially from a serious car accident. To help yourself financially recover from a serious accident with no auto insurance, you should consider taking advantage of peer to peer lending or crowdsourcing. For crowdsourcing, fortunately, you don’t have to pay off what is rewarded to you, and you can use platforms like Kickstarter and IndieGoGo. However, if you want to use peer to peer lending, you’ll be paired with a private lender that will offer you cash upfront at a certain interest rate. Going down this road, you’re going to want to look into peer to peer lending platforms like Avant, Prosper, and PeerForm. A way to finally recover from an accident with little to no risk is to get yourself a side gig that will offer you another source of income. Fortunately, there are plenty of jobs out there that you can do in your free time, such as starting your own business. However, it may be hard to get a driving side gig following a serious accident. But, there are plenty of retail jobs out there that you can apply to. Once you get a side gig, you should then use the extra income to rebuild your emergency savings account and pay the bills from your accident. Ultimately, to financially recover from an auto accident, you may need to get professional help from a personal injury lawyer. This professional can help you get some settlement, even if you don’t have insurance. Also, a personal injury lawyer can help represent you in court and fight a slow insurance company on processing your claim. Unfortunately, personal injury lawyers tend to have a bad stigma around them, but they’re essential to recovering from a serious car accident. 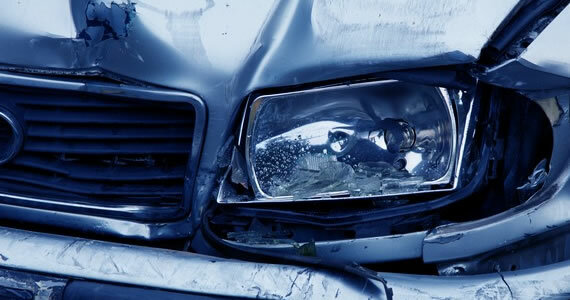 It can be challenging to financially recover from an accident with little to no auto insurance. However, with help from this article, you should be able to get yourself back on your feet a little easier. We wish you the best of luck recovering from an auto accident and hope you can get your finances back on track with little risk. One Comment on "Car Crash: How to Financially Recover from an Accident with No Insurance"
What if someone suffer from bad credit history?